Once your site is populated with data and pages you should create a sitemap AND submit it to Google, Bing and other search engines. Note that a sitemap will not in itself raise your rankings in Google. They mainly serve as a way to inform Google about your site structure and content. Especially for new sites and new content for existing sites this usually helps a little to get these pages quickly indexed in the search results pages. In this article, I will discuss various sitemap solutions, Joomla solutions, how to inform Google about them and finally some more advanced topics. Why do we need sitemaps? The main reason we use sitemaps is to inform Google about the important pages of our site. Note that I emphasized the word "important" here. This is really key: almost every site has a large portion of so-called utility pages: pages like login-screens, terms and conditions, retrieving lost passwords, etcetera. Those pages are important for a proper functioning of the site, but they do not add value to the SEO of the site. So, you don't want Google to index them. First of all, you should Noindex them (which you can prevent with robots-instructions), but also, make sure not to include them in your sitemap. Based on the sitemap, Google will have a general idea of which pages are important and which ones not. This will not result in guaranteed indexation of the listed URL's, but it does help for sure. So, sitemaps are not a magical fix-all solution for your indexation problems, but it is one of the many boxes you need to tick for proper SEO. We have to distinguish between XML and HTML sitemaps. 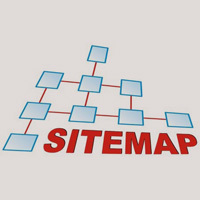 The HTML sitemap is mainly for your users, so that they have a nice overview of your site. For sites smaller then 10 pages I would not bother, but larger sites may certainly benefit from one. More important for your SEO ranking is the XML sitemap. Note that it will not simply raise your rankings in Google, but your pages will be included in the Google index faster if you use one. For smalll sites with relatively little content, or sites that don't change too much, the easiest solution might be to generate one using an online sitemap generator and just place the file in the root of your site. An example of an XML-sitemap generator is www.xml-sitemaps.com. Just supply the URL of your home page, and the tool will crawl your site just like the Google bot would do. After crawling, you can download the sitemap in various formats (open and check it first, to verify it looks fine). Make sure you only include URL's you want to have included in Google. If necessary, edit the file and remove stuff like login-pages, etc. For Google, use either the sitemap.xml version, or the G-zipped version sitemap.xml.gz. You can also download a HTML version that you can possibly use to offer a sitemap page for your users. By the way, you can also generate sitemaps from the SEO tool Screaming Frog SEO Spider. It's a free desktop tool with many advanced SEO features. For 10 more of these (including commercial ones, check this post: semrush.com/blog/10-awesome-visual-proven-sitemap-generator-tools. The disadvantage of this solution is that you have a static sitemap. So, for sites with changing content, a sitemap extension is a better choice. Though you can sometimes use the manual method of creating sitemaps, you can also use many Joomla sitemap extensions. For larger and changing sites, you really need one of those. Often, they also offer additional features, like automatic sitemap generation and submission to search engines. OSmap (formerly Xmap) is a popular free extension, but there are some more. Especially Jsitemap is very nice. It is a commercial extension, but very popular. It was even listed as the Top rated extension on the JED for a while, with only 5-start reviews, so it's probably a safe choice.... OSmap is well-suited for simpler sites, where every article is linked to a menu-item. Articles not directly associated with a menu-item are not included in the sitemap then. Jsitemap does include those articles, so may be better suited for sites with many blog-views. A third extension that is very good is PWT Sitemap (from the same developer as ACL Manager and PWT SEO). Whichever one you use, make sure it supports your content types. If you only use core Joomla articles, you will be fine, but for 3rd party extensions, this is not always the case. Say you have a webshop, the sitemap extension should be able to understand the URL's for your extension (Virtuemart, Hikashop, etc. ), so check this before you install the extension. Often these extensions create fine sitemaps with just the default settings, but it always pays to go through the configuration to fine-tune the output. You are often allowed to exclude stuff (articles, categories) that are only useful for service purposes, like terms & conditions, login-pages, etcetera. Also the image sitemap should be submitted to your Search Console / Webmaster Tools account. Sites with many videos can even contain a video sitemap. Contrary to basic XML-generators, there are hardly any that can create image or video sitemaps, so if you need these, it is best to use a sitemap plugin that supports these. OSmap, PWT Sitemap and Jsitemap both support image sitemaps. Video sitemaps are only supported by Jsitemap. You can submit these sitemaps on a per language basis in Google Webmaster Tools then. Many extensions and online sitemap-generators include all your URL's by default. However, this may not always be the best way to go. If you carefully examine your site, there may be URL's that do not really add value for Google. Think of pages like your terms and conditions, login-pages, etcetera. If you take care only to include the really valuable pages and leave the fluff out, "Google will consider the pages that are in the sitemap as more important and Google will crawl it sooner" (see www.thesempost.com/google-links-partial-sitemaps-crawling). Many extensions offer the possibility to select your URL's to include per menu or per article / category, so make sure to only include your valuable menu-items then. This will ensure that the site can be reached from the URL /sitemap.xml. Thanks to Rene Kreijveld for the tip. You would probably have to create this setup manually, since installations will usually be independent, but it could be a way to inform Google that you have a site with duplicate content in multiple languages. By the way, you can use this technique within a single multilingual site as well, but then there are easier techniques you can apply.